The southwestern tip of Europe’s main land: The chillier and greener north and the south that reminds you of Mexico. Red wine and fresh grilled fish the sounds of Fado in a colourful chaotic Lisbon. Endless untouched beaches without a soul. That is Portugal. I don´t want to bore you with facts now. You have WIKIPEDIA to do that: https://wikipedia.org/wiki/Portugal. For more than 10 years I have been living in Portugal now. There is no other country in Europe that let’s you live that freely. With surf at your doorstep. Lisboa – A cidade da luz: Lisbon – the city of light. That’s what locals call their home town. No matter which day or night time, Lisbon’s light is always special. Mostly so of course around the golden hours, at sunrise and sunset. We recommend all of you: If you can spare a day or two off the beach, spend a day there before coming up to Peniche. Often flights are cheaper on working days! 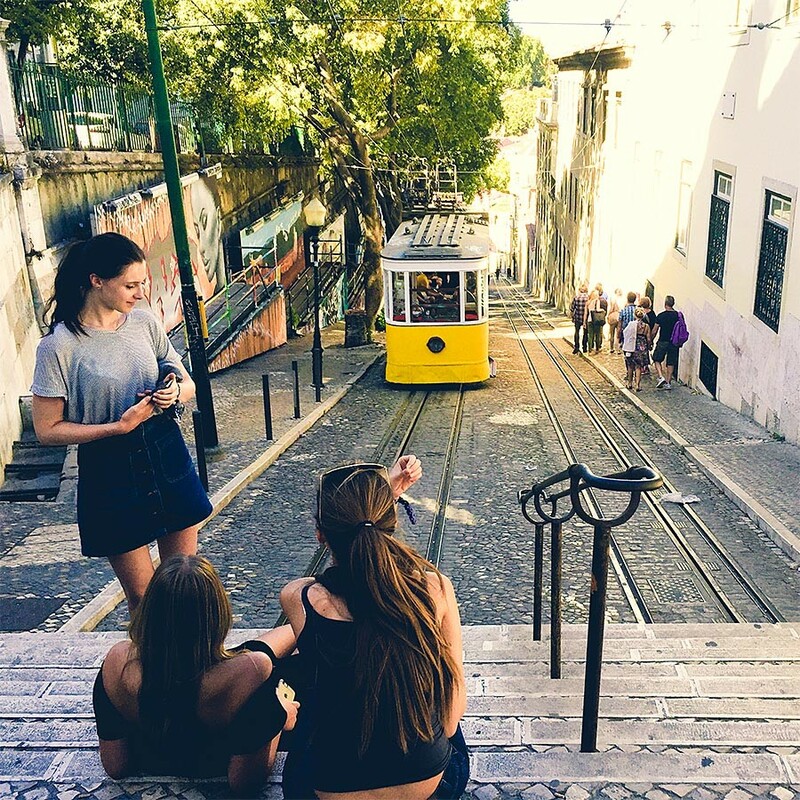 Lisbon is one of the most fascinating cities in Europe: Old buildings covered in street art, small cafés with a beautiful view over Tejo river and not to forget: the night life. Just the latter makes a trip down to the capital worthwhile. Lisbon is actually Europe’s only capital with direct access to surf beaches. A year in an university exchange program already started many surfing careers. And let to more time on than beach than in school. Unfortunately the trips to the beaches can take some time. The traffic in Lisbon is awful. Not only in rush hour. And in summer time it can take more than an hours to get to Guincho or Praia Grande, the only beaches that will have waves in summer. There is also a university in Peniche. But they only offer marine biology and tourism. Dozens of castles and palaces (Palacio da Pena, Castelo dos Mouros, etc.) invite for a day trip from Lisbon or Peniche. To the city center you can easily get by train from Lisbon, to get to the sights you need a local bus or a taxi. Or just book a guided tour from Lisbon. The beaches of Sintra (Praia Grande, Praia Pequena, Praia das Maçãs and Guincho) are good surfing beaches on those small summer days with out wind. From Cais de Sodré the train follows the Tejo river to Cascais via the urban beach of Carcavelos and the cultural center Belém, where the original Pasteis de Nata are made. 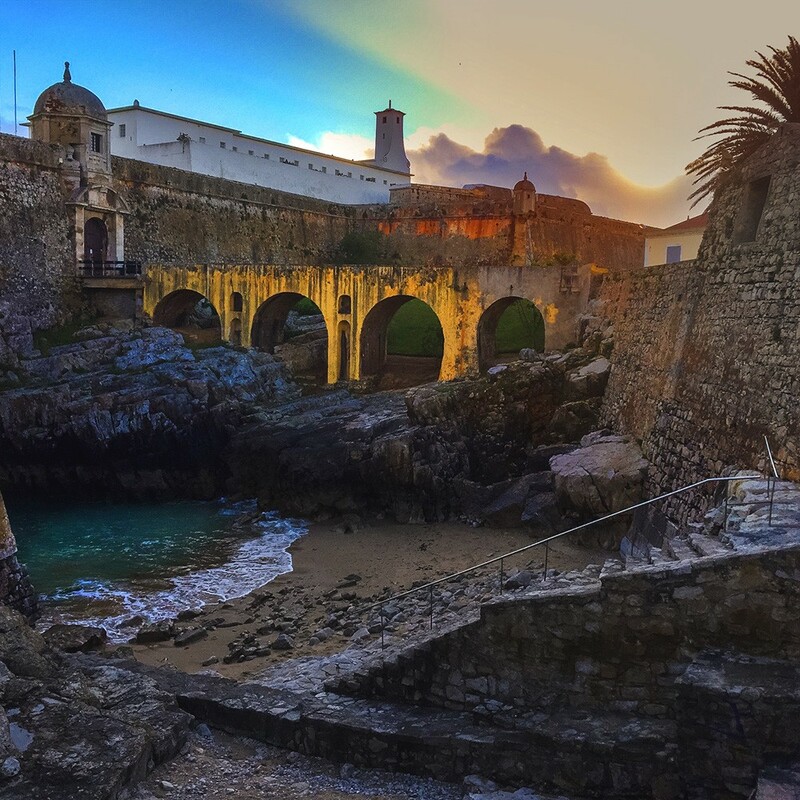 The marina of Cascais is where the rich and famous live and hang out. Miles of beach of the “Costa”are best to be reached with your own car. There are bus/Metro connection and you can hop on the ferry at Cais de Sodré carrying your surfboard. In July and August all the other 5 million inhabitants of Lisbon do the same. The only thing to see here is the palace. But when you want to save the €5 highway toll from Lisbon to Peniche, you might as well stop here for a coffee. 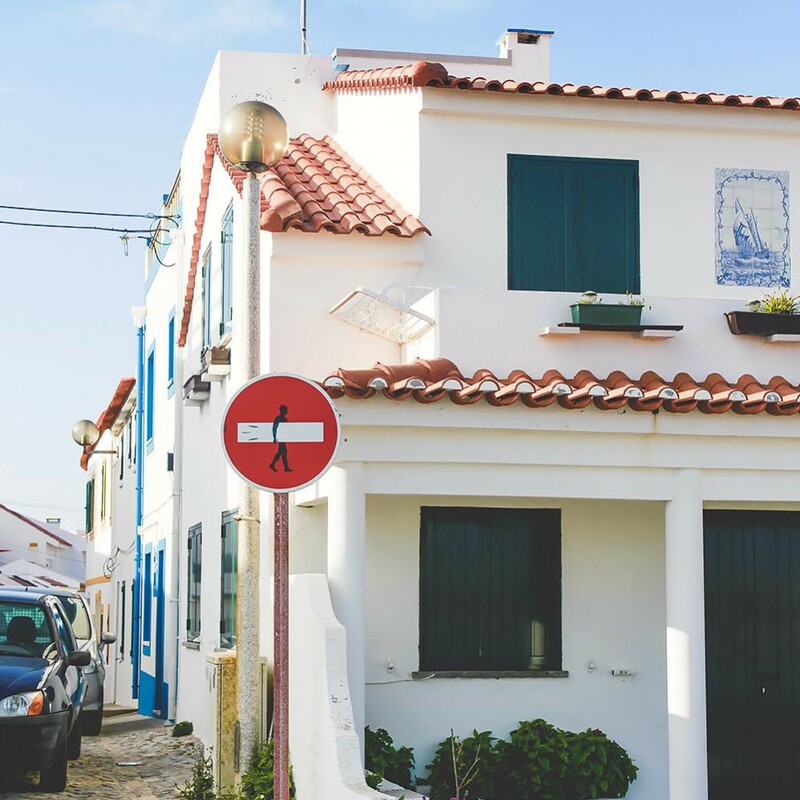 Next to Peniche Ericeira is considered Portugal’s second Surf City. The curvy road makes the journey last one hour, but with the right conditions the World Surf Reserve’s reef breaks make up for the trip. Close to ton there is only now beach break. All the other breaks are reefs. A coast line facing pretty straight into the Atlantic makes Ericeira pretty exposed to wind and swell. Good waves are usually only found in fall and winter. But when it’s on it’s on.